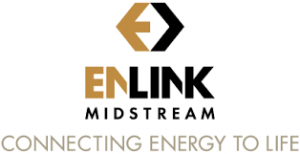 Enlink Midstream in Dallas is the latest midstream company to abandon the Master Limited Partnership plan and is in the process of merger and acquiring Enlink Midstream Partners, LP. Management anticipates the transaction to close in the first quarter of 2019. Upon closing , the acquisition will result in a $13 billion enterprise company and Enlink Midstream LLC will continue to operate as a midstream energy provider. At closing, the pro forma company will retain the name EnLink Midstream, LLC and will continue to trade on the New York Stock Exchange as ENLC. Under the terms of the merger agreement, ENLK common unitholders will be entitled to receive 1.15 common units of PF ENLC for each common unit of ENLK owned. The reason for the merger? 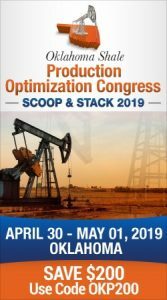 It simplifies the organization structure into a single, larger publicly traded midstream energy company, increasing the public float and enhancing trading liquidity, according to the company announcement. The firm said it will also improve project returns with a lower cost of capital. “EnLink has been on a journey to evolve for long-term success. Today, we took another right step in our journey through the announcement of our simplification transaction, which will be immediately accretive to both ENLC and ENLK common unitholders,” said Michael J. Garberding, EnLink President and Chief Executive Officer. Under the terms of the agreement, ENLC will acquire 100 percent of the outstanding ENLK common units that it does not already own. ENLK common unitholders will be entitled to receive 1.15 units of PF ENLC per ENLK unit owned. The consideration for ENLK common unitholders represents a premium of 3.5 percent based on the volume weighted average price for both securities over the last 30 trading days.